Well a LOT has happened since my last update. 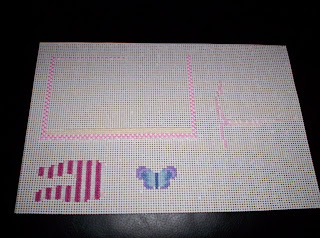 I've moved house, got married, been on honeymoon...not much stitching though LOL! 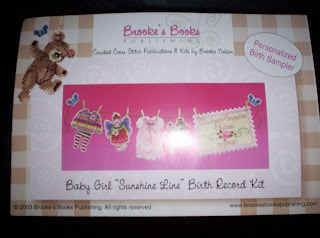 I've done some stitching on my Sunshine Line Baby Girl kit but it's now become a whenever I finish it pressie. 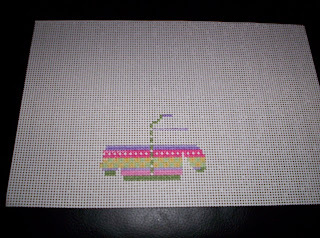 I also finished a small UFO whilst on honeymoon. It's an old Flower Fairy cover kit that came with a free mount. Well it's been sent to framers this week so I'll get a pic when it's back. I'm giving it to my new next door neighbour who knows a little girl who loves fairies. Well we did it we're married! It was a great day and I hope everyone who came thought so too. Click on the link for our wedding photos.